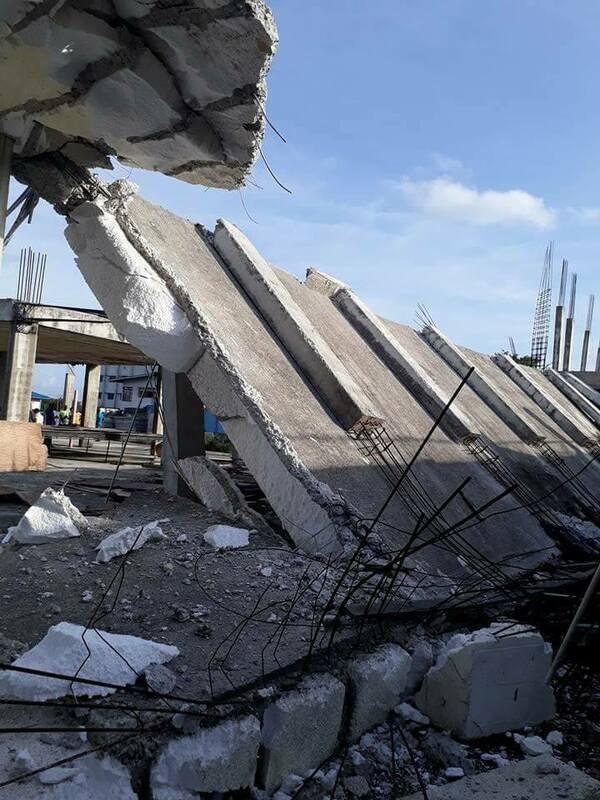 Confusion As Stadium Collapses After Heavy Rainfall In Calabar. 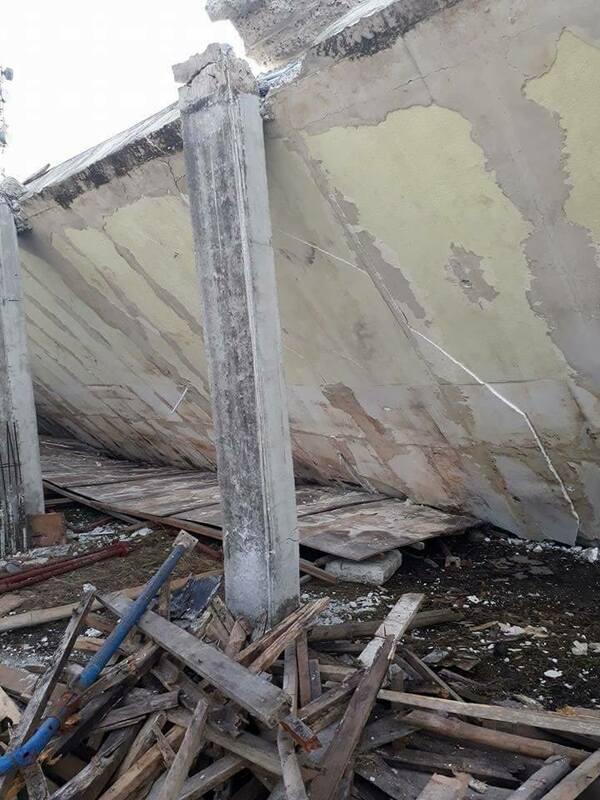 The U.J Esuene stadium in Calabar, Cross River state collapsed after torrential rain today Friday. 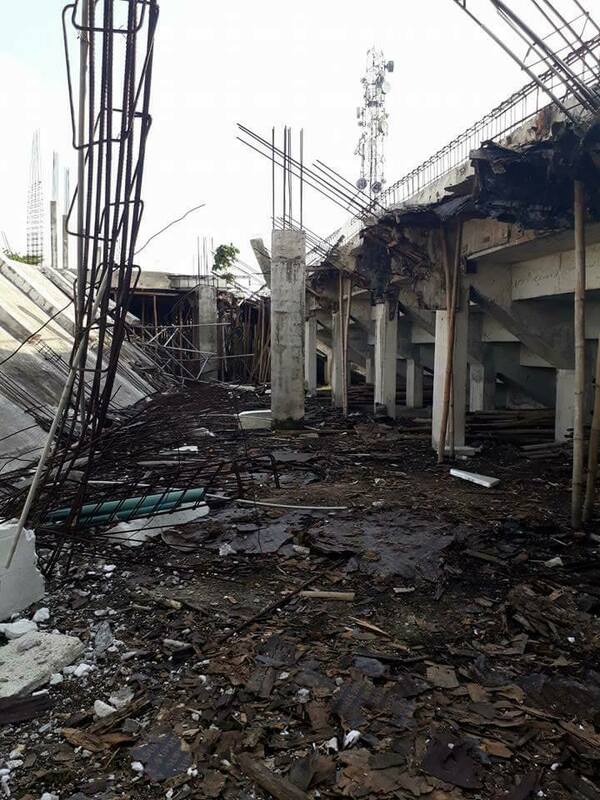 Pictures released by the Director General of Sport Commission, Orok Duke, shows that the whole structure built to house at least 50 thousand people has only 8mm rods in the pillars and deckings platforms. The indoor sport hall which was under construction for over two years now was awarded to Ujuola Giwa Amu ..a contractor who allegedly absconded billions of Naira. We thank the Almighty that it wasn't in use when it happened. This stadium doesn't even look like it was ever completed. It looks worse than some building sites. This doesn't look like the football field. Looks more like the areas close to where the camp is. Why not pay for quality instead of pocketing change and building death traps ? Last edited by Eaglezbeak on Sat Apr 15, 2017 10:33 am, edited 1 time in total. Why not pay for quality instead of building pocketing change and buildings death traps ? You think people care about li es when there's money to be made? They are even sacrificing people for money talk less of substandard structures. You'll probably find that money paid was even in excess of what was required for a quality construction. But everybody go chop their own, leaving chicken change to construct a death trap with substandard materials and an unapproved design. Heads must roll on this one, like the Lekki building collapse last year. Some Nigerians are just evil. If I'm not mistaken the stadium once hosted SE match. God helps us from all these substandard constructions that are obviously death traps. It is the indoor hall. You're right. This stadium hosted all our home games for the 2013 AFCON and 2014 World Cup qualifiers. God has been merciful. This stadium has been in existence for decades, it has survived many rainy seasons,it has survived many storms...the question what manner of maintenance is being carried out. 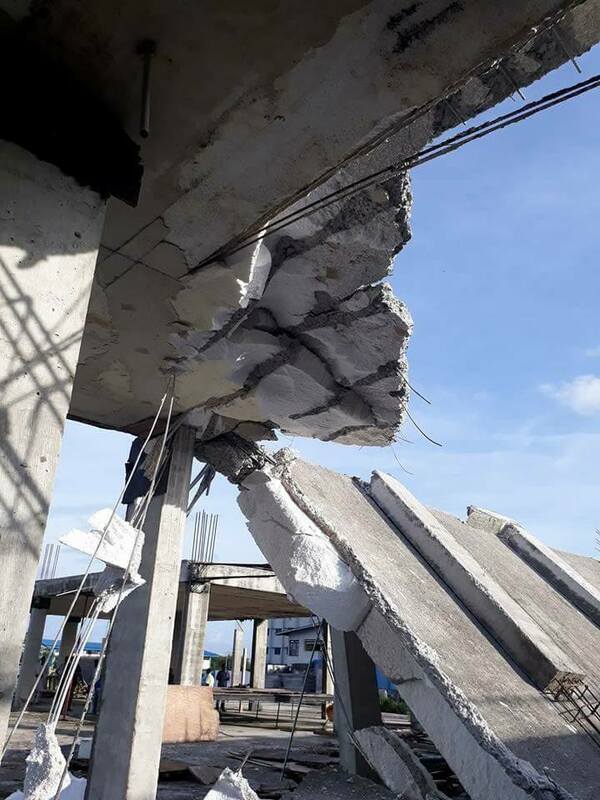 I can wager a bet, over the years there would have appeared structiral degredation and faults which were ignored, tbis kind of collapse is what you get when a structure has been neglected for far too long. It is the indoor sport hall being constructed for National Sports Festival. There goes the national sports festival...thank God it happened now and not when packed full of people. The construction among other reasons is exactly what delayed the NSF since 2014. That's the image from the link, not mine. The issue remains about the indoor sports hall. Nigerians could be evil but 8mm rods in the columns (Pillars) and suspended floor (deckings) makes absolutely no sense. The writer needs to get his facts correct. Haba! Ki lo de? 8mm is meant as links in columns and beams in closer to normal reinforced concrete works. In a job with high propensity for heavy live load like a stadium, 8mm may not even be found in the arrangement. Thank JESUS there was no game on at the time. I know Chief Orok 0tu Duke, the Cross River Sports Chairman. We were together at Hope Waddell Insitution and the University of Calabar. A Senior Prefect and Student Union Leader, he was always an activist and leader of men. He has a track record of achieving results, and was only recently the Deputy Speaker of the Cross River House of Assembly. A man of integrity that brooks no silliness. If there is anyone Ozolua Giwa-Amu doesn't want to mess with, its Orok Duke. Let's wait and see how this plays out. Just thankful no lives were lost in this very avoidable fraudulent nonsense.